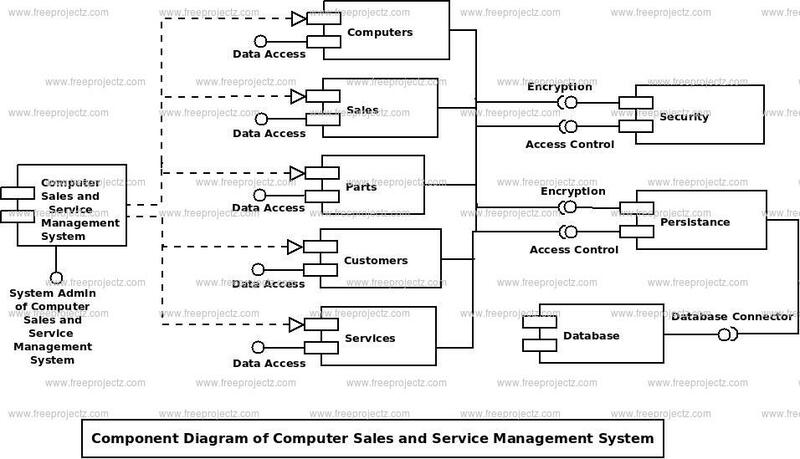 This is a Component diagram of Computer Sales and Service Management System which shows components, provided and required interfaces, ports, and relationships between the Customers, Parts, Services, Computer. Sales and Repairs. This type of diagrams is used in Component-Based Development (CBD) to describe systems with Service-Oriented Architecture (SOA). Computer Sales and Service Management System UML component diagram, describes the organization and wiring of the physical components in a system. You can show the models the components of Computer Sales and Service Management System.